Spare a thought for our poor Austro-Germanian counterparts. While some of the world’s best motorcycle manufacturers came out of the region, they are amongst some of the hardest countries in the world to legally customise bikes in. Life is anything but easy for Teutonic tinkerers. It seems that the local authorities have nothing better to do than ensure that every vehicle on their roads is as dull as possible. This is backed up with heavy fines and sky-high inspection charges if you fail to comply. 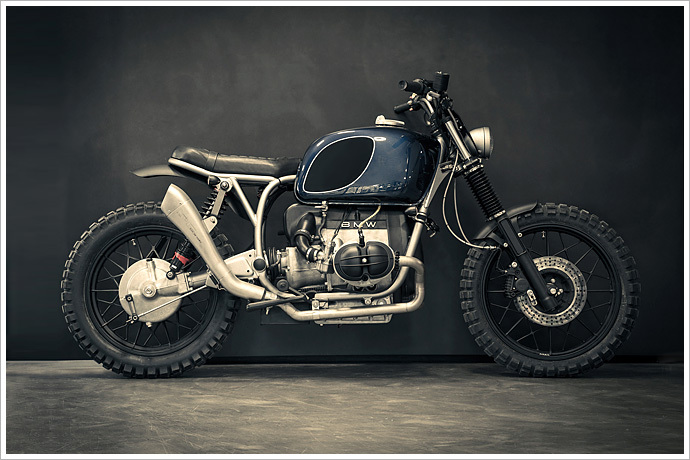 Enter Slovenian shop and Pipeburn regulars ER Motorcycles, with nothing more than a keen Austrian customer, an old boxer BMW and a love of showing bureaucratic paper shufflers what’s what. Here’s the second bike from a guy who’s reputation is growing faster than a wave of nausea at a Nickelback concert. Arguable one of Eastern Europe’s top shops after only his second build, we’re genuinely excited about what this guy has up his oily, rolled sleeves. This BMW follows his blinding ’83 R80 job from a few months back; this time he’s turned his eye to a rather nice R60/7 from ’77. His name is Blaž Šuštaršič. He has 5 diacritics in his name. His shop is called ER Motorcycles. This is ‘Macchiato’. You can feel their attraction. Like the force of gravity, they seem to exert a powerful yet invisible pull on all bodies near and far. You can try and avoid them, moving in an elliptical orbit so that you fool yourself into thinking that you can escape their grasp, but somehow you always end up spiraling inwards. Are we talking black holes? Dying stars? Galaxies? No. 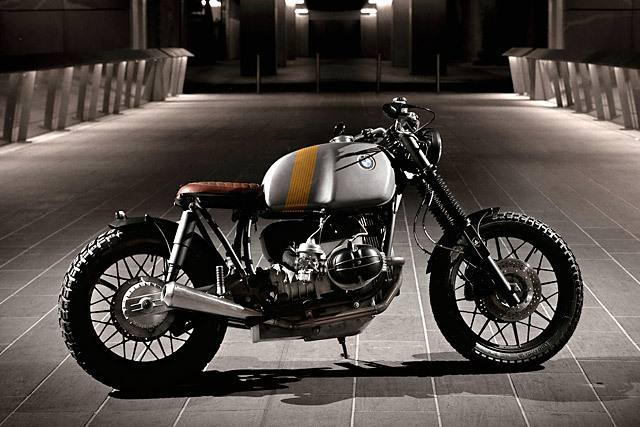 We are talking Bayerische Motoren Werke Motorrad; BMW motorcycles to the layman. The Americans used to say that eventually, all riders will end up on a Harley. And that may be true of for the Amerikanische volk, but as for the rest of the world I’m convinced that a boxer twin is our true destiny. 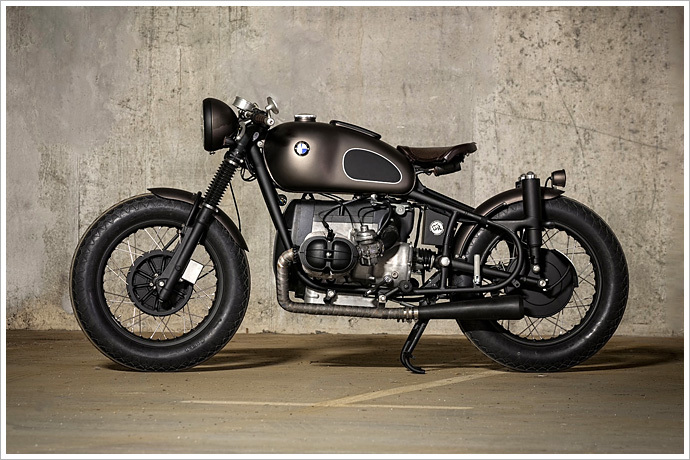 And if I could choose my destiny, it would be this bike. It’s just about the cleanest, most detailed Beemer build you will ever see.